We have compiled a Windows binary for the new ccMiner fork by djm34 (source) that now has support for NeoScrypt and Yescrypt GPU mining on Nvidia-based video. Our Windows binary is compiled with VS2013 and CUDA 6.5 and supports Compute 3.5, 5.0 and 5.2 GPUs, you can download and try it from the link below, there is an example BAT file setup for testing hashrate for the two new algorithms. 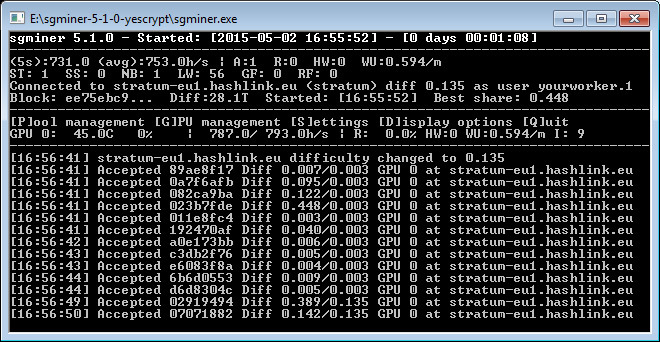 We are getting more than 1100 Hashes per second on GeForce GTX 980, so better than the performance from a Radeon 280X with the sgminer fork. 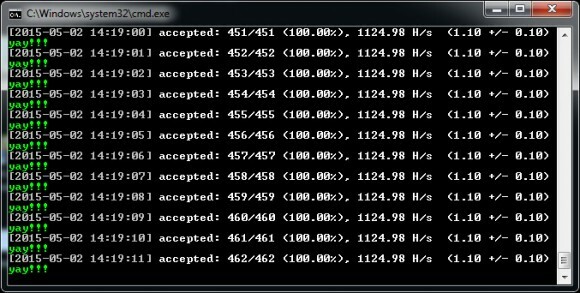 On a GeForce GTX 750 Ti we are getting very good performance as well with close to 600 Hashes per second or slightly less than on Radeon 280X. Do note that there is still more to be desired from the GPU miner as it is not faster than mining Yescrypt with an up to date CPU, for example a single Intel Core i7 5820K CPU achieves around 5.1 KHS mining GlobalBoost-Y (BSTY).